Having a poorly paved parking lot or walkway to your company has many negative effects. People who notice a dingy, dented, and cracked walkway are less likely to want to buy from your business. After all, if you can’t even pay attention to creating an inviting atmosphere for your customers, why would you be any better at providing them with service? People also are not very happy about driving their cars on pavement that has lots of potholes, cracks, bumps, and uneven areas, since this can cause damage to the car’s tires and shocks. Lastly, having a poorly paved parking lot or walkway can also make it easier for people to trip, which is a huge liability for any new business. Getting your company’s parking lot, walkway, or garage paved doesn’t have to be hard, nor does it have to be too expensive. 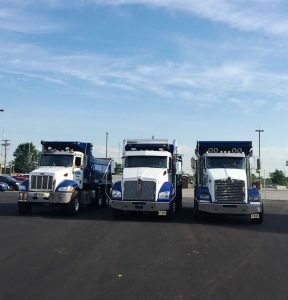 The trick to making sure that your areas are paved quickly, inexpensively, and professionally is to hire a local paving company that believes in giving quality work that doesn’t cost a ton. Luckily for you, we are one of the most reliable companies that you can choose for commercial paving. This may be because of the core beliefs that we hold – excellent service, top notch results, and low prices. We always stand by our work, and we always make sure that our customers are satisfied. Our company’s prices are very reasonable, and the quality of work that you will receive will be second to none. Don’t run the risk of having to call another company to fix mistakes made by your first paving crew – call us today for a quote on your project!